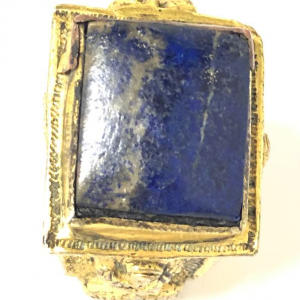 Here is the ring belonging to the time of Pope Paul II in the Papal Artifacts’ Collection. 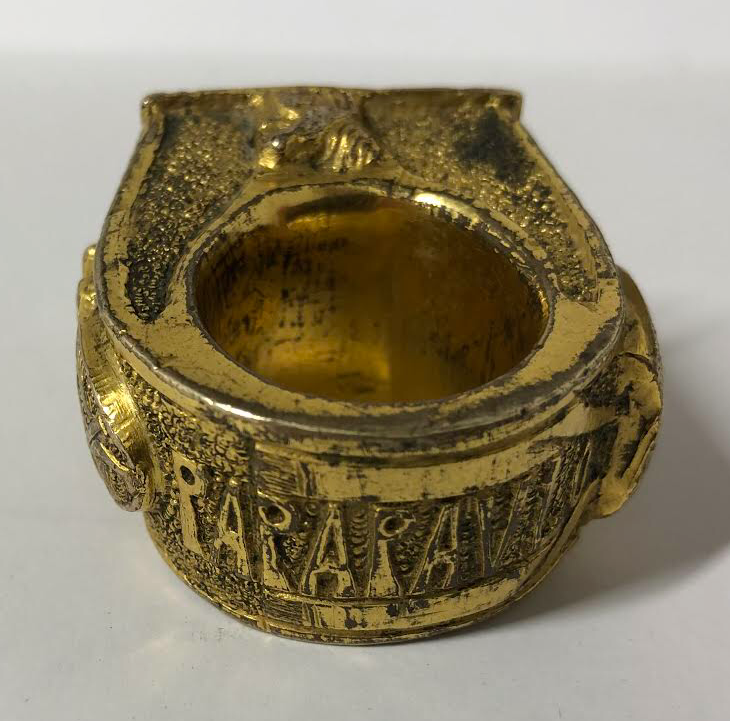 Adjacent to this post is one entitled, “The Rings in the Papal Artifact Collection,” where the featured item is a papal ring worn during the time of his pontificate (1464 – 1471). 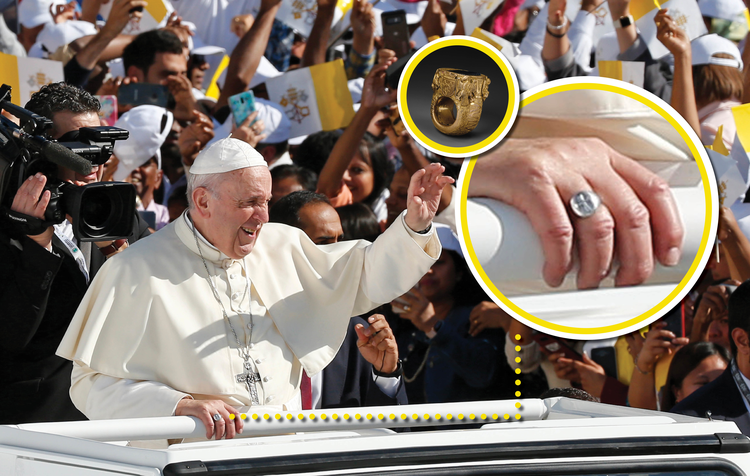 We thought you’d enjoy the coincidence involving this particular photo and the story connected to it about the past two (and present) popes not being fans of having their rings kissed! 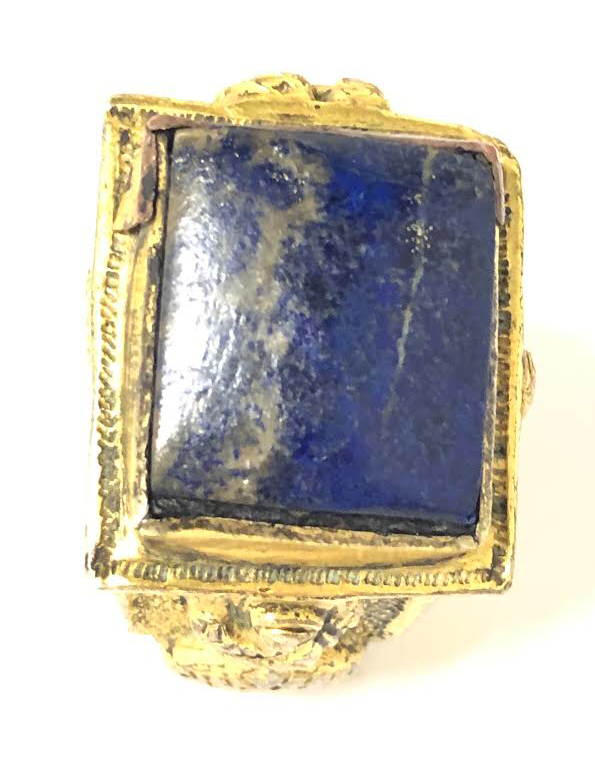 NOTE: This is not the fisherman’s ring, worn by popes, which would have been destroyed upon Paul II’s death. Explainer: Why doesn’t Pope Francis want people to kiss his ring? Top Left: Ring with the Name of Pope Paul II c. 1464–71 (Met Museum); Illustration by Ciaran Freeman (CNS photo/Paul Haring). Why do Catholics kiss the pope’s ring? And why doesn’t he want them to? 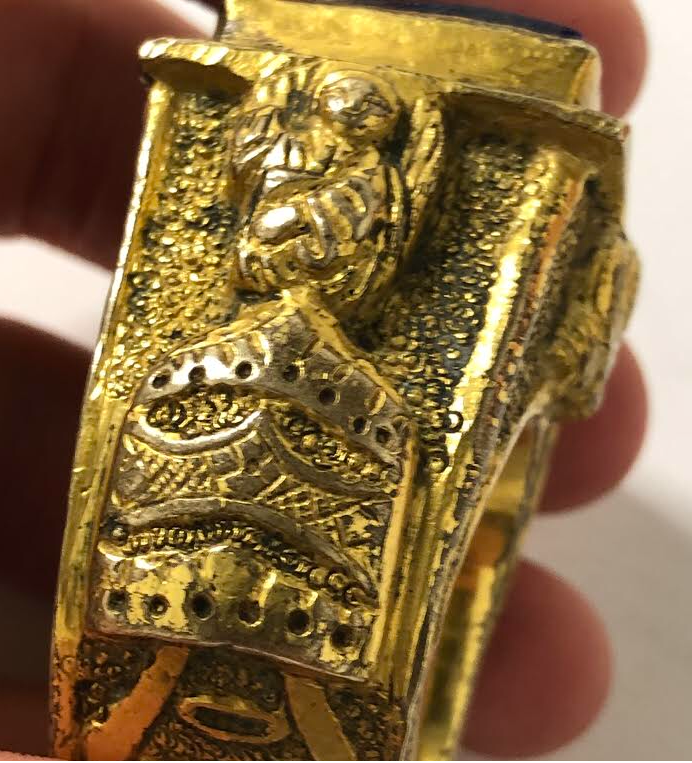 Both Pope Francis and Pope Benedict XVI before him have tried to discourage the practice of kissing the pope’s ring or hand when the pope is receiving visitors.Much of the reverence shown to the papal rings developed out of the tradition of “the fisherman’s ring” owned by the pope. 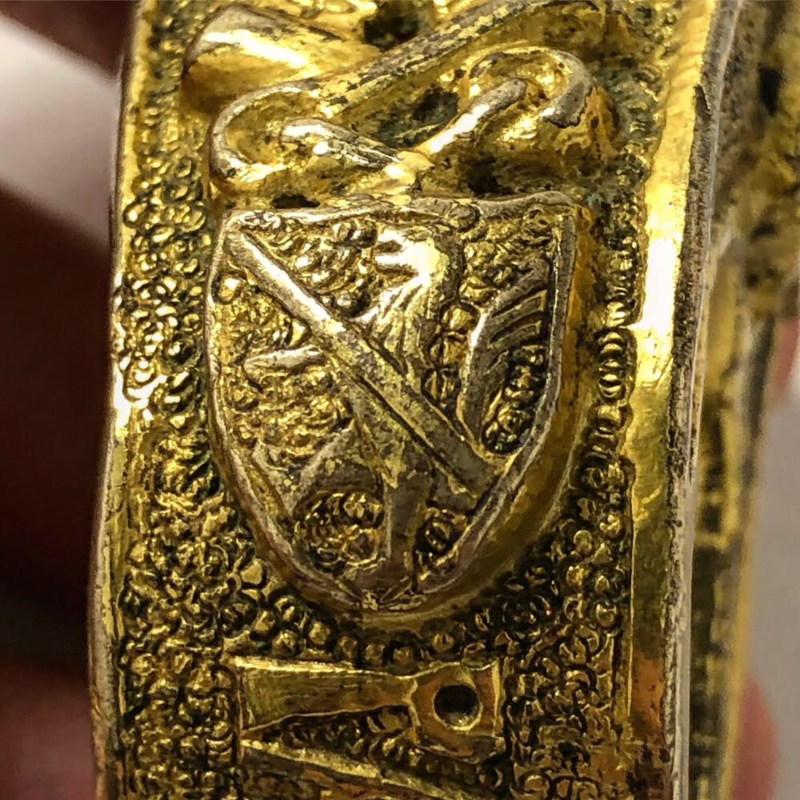 At least as far back as the 1200s, the signet on the fisherman’s ring was used to seal papal documents. In that time, seals helped to verify that private documents had not been tampered with or opened in transit. With modern means of communication, this practice of sealing a document with wax and then pressing the signet into the wax has fallen out of use. 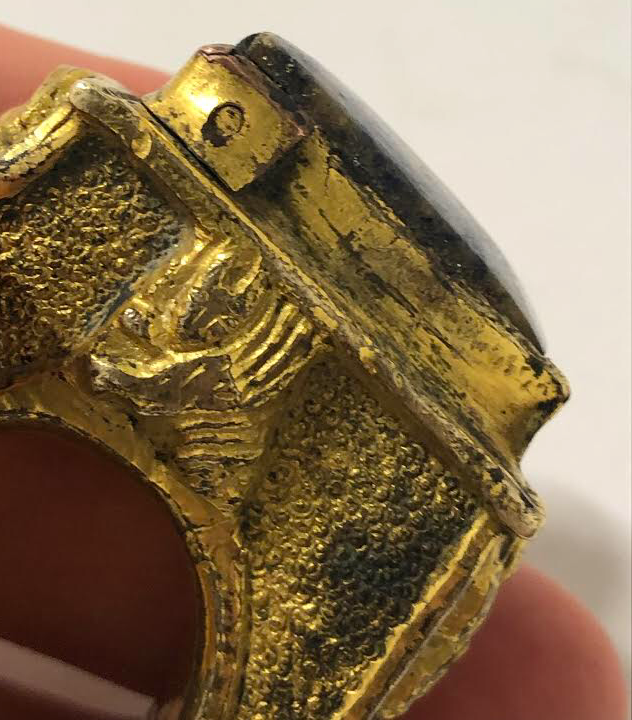 In keeping with this original and rather practical purpose, the ring of the fisherman was traditionally destroyed after the death of a pope. In the presence of other cardinals, the ring would be smashed with a ceremonial hammer. At the inauguration of the next pope, a new ring would be presented to the new pope. Similar traditions and ceremonies were quite common in royal courts throughout Europe in the medieval period. Another common practice would have been the kissing of a monarch’s ring as a sign of respect for the office and power held by the monarch. 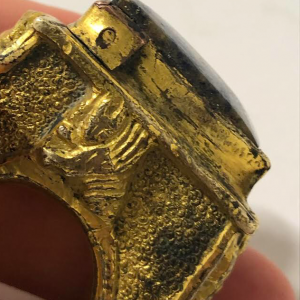 This matches up with the tradition of kissing the pope’s hand and the fisherman’s ring. It also was not limited to the pope: Bishops also receive rings at their episcopal ordinations. Kissing the pope’s hand isn’t the only monarchical tradition that found its way into papal protocols. 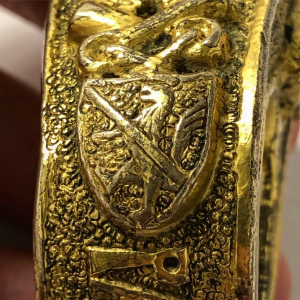 A coronation ceremony was part of the installation of a new pope for many centuries.But a big ring with a signet for sealing documents is a little impractical. Although Pope Benedict XVI had the practice of wearing the fisherman’s ring daily, that has not been the norm for some time. 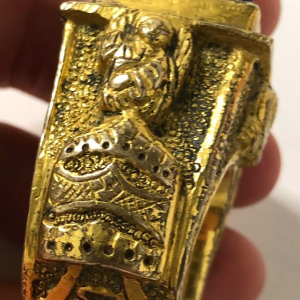 In other words, even when visitors go to kiss the pope’s hand, it most likely does not have the fisherman’s ring on it. Many popes have used a different ring more to their personal style for normal daily life. St. Pope Paul VI, for example, wore a ring day-to-day that commemorated Vatican II. Mr. O’Connell confirms that Pope Francis only wears the fisherman’s ring for certain ceremonies. Kissing the pope’s hand isn’t the only monarchical tradition that found its way into papal protocols. A coronation ceremony was part of the installation of a new pope for many centuries. John Paul I and John Paul II abandoned this ceremony. Pope Benedict XVI went even further when he removed the tiara from the papal coat of arms.